This 48″ by 60″ sign is navy blue, red, and white. The sign is a circle with an arrow attached to the bottom. 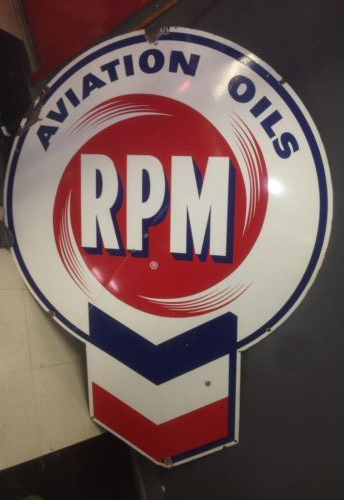 The text on this sign reads “Aviation Oils RPM.” It looks like the shape of a hurricane in the center of the sign.